On December 20th 2014 many local businesses and community organisations including the Grove Lawn Tennis Club will be Cycling for Charity. This is a stationary cycle and is taking place in the centre of Malahide Village from 5am to 11pm. 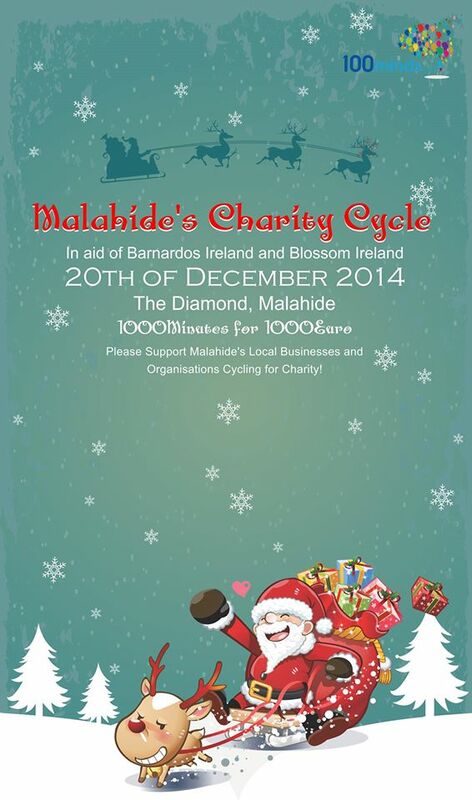 The cycle is raising money for Barnardos Ireland and Blossom Ireland.